Ypres, BELGIUM, March 27, 2018 – Transics, a WABCO company and full solution provider for truck, driver, trailer, cargo and subcontractor management, has launched the latest version of its driver app TX-FLEX. This highly advanced, mobile telematics solution now also enables drivers to participate in planning follow-up and direct communication as well as navigate via mobile devices. Such features were previously only accessible via the fixed on-board computer TX-SKY. By expanding its portfolio with the updated version of its driver app, Transics fulfills the requirements of fleets in search of a truck-independent, highly flexible and cost-efficient telematics solution. With the launch of the new version of the driver app, TX-FLEX is now also compatible with TX-GO, the company’s truck-independent, displayless on-board computer. The driver simply connects the TX-FLEX app to the displayless on-board computer to gain full access to comprehensive data services via a mobile device – either a tablet or a smartphone. The updated app also offers a high level of flexibility for fleet managers, as it includes an overview of the driver’s remaining driving and resting times. In addition, it offers the company’s economical driving performance program, TX-ECO ASSISTANT. 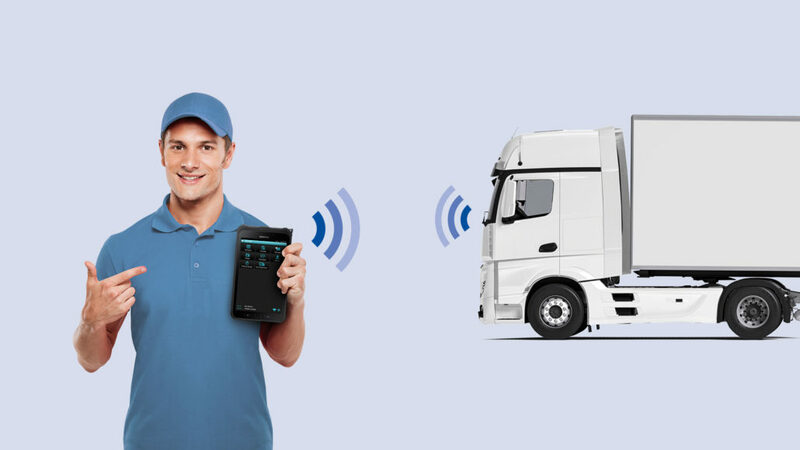 The advanced API (Application Programming Interface) of the updated driver app TX-FLEX further enables integration of additional applications and software to the mobile device of the driver, such as truck and trailer inspection apps, navigation software and digital CMR platforms. Previously, the integration was only available in the back office via TX-CONNECT, Transics’ web-based back office suite. With the updated version, such integrations are also made available in the truck cabin. Drivers can now easily make use of data from external apps via their mobile devices.